Jason Kravitz (Brussels, Belgium) on 22 December 2006 in Architecture. I love that I've lived in this city for 9+ months and I can still go out for a walk and discover something new a few blocks away from my house. 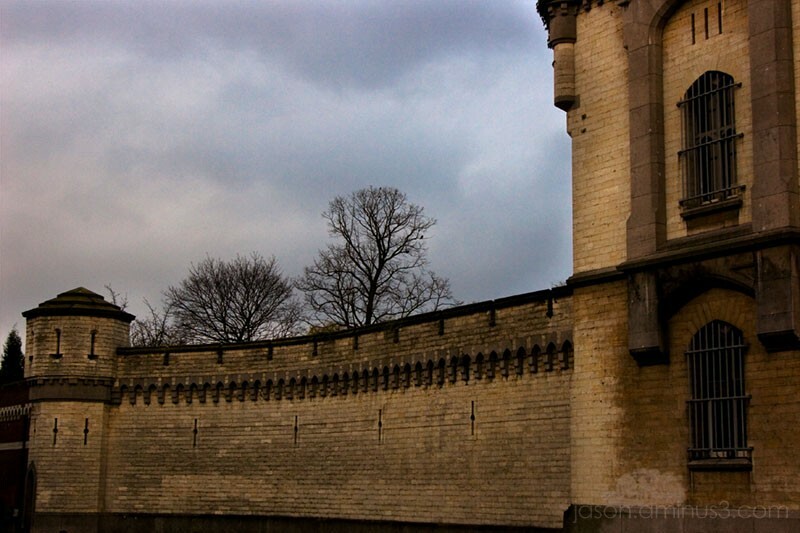 In this case I stumbled on a large castle like building which is the Prison de Saint-Gilles. Thanks God :) Nice framing, works for me. Very good composition! Well done! Crikey, you never noticed this before?! Just dont end up in there Jason. And a very merry christmas by the way! Wow! I like the tone of this image. It looks dark and medieval. Suits the setting really well. you captured the foreboding nature of it very well! happy christmas! Merry Christmas and a very Happy New Year to you and Leslie from me and Lipika from India.